Colton Smith of Wenatchee has won the fifth Northwest Round Robin, having defeated Sammamish’s Ella Kuzmenko on a 4-1 decision in the final round. (This was the only ballot that Colton dropped throughout the competition.) 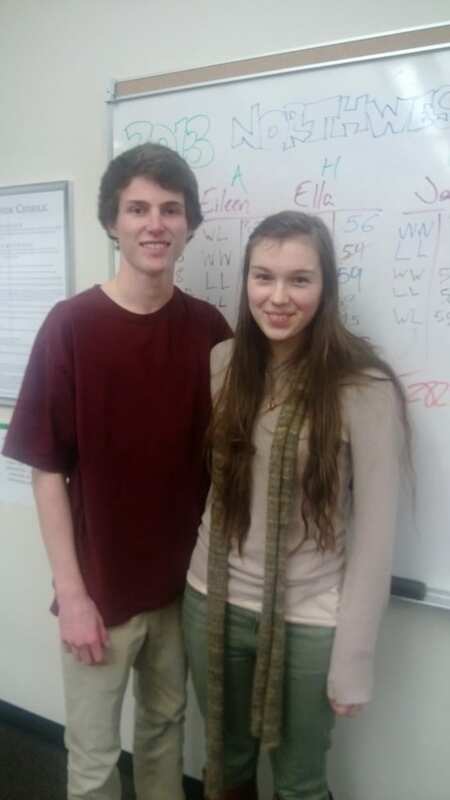 This was a rematch of the final round of Whitman College, which Colton also won. Colton is coached by Dave Carlson and Steven Adler; Ella is coached by Jeffrey Richards and Hemanth Srinivas. The top prize this year was a $1,000 scholarship to the University of Puget Sound. Second place was a $500 scholarship. Jeff Gans, Director of Debate at the Eastside Catholic School, has announced the field for the fifth installment of the Northwest Round Robin. This year’s keynote seminar will be led by Rebar Niemi; Becca Traber and Steven Adler led seminars the previous two years. The event looks to be a forum for celebrating and improving debate in the Northwest.